HIGH PERFORMANCE MULTI-HEAD FILLING MULTIBLOC. 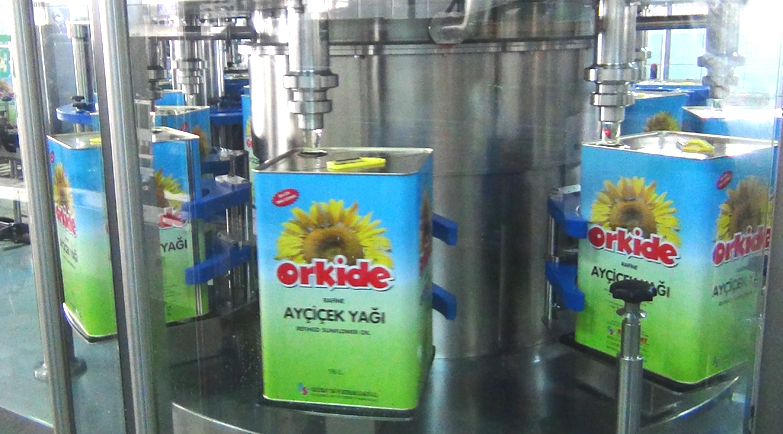 Multiblok Pragmatic of INDEX-6 ® with its new exploitation qualities is suitable for filling of liquids, even with high viscosity and introduced in one of the iconic Turkish factories for the production of edible oils - Orkide.The main products for filling are sunflower and corn oil in 18 liter cans with rectangular shape. 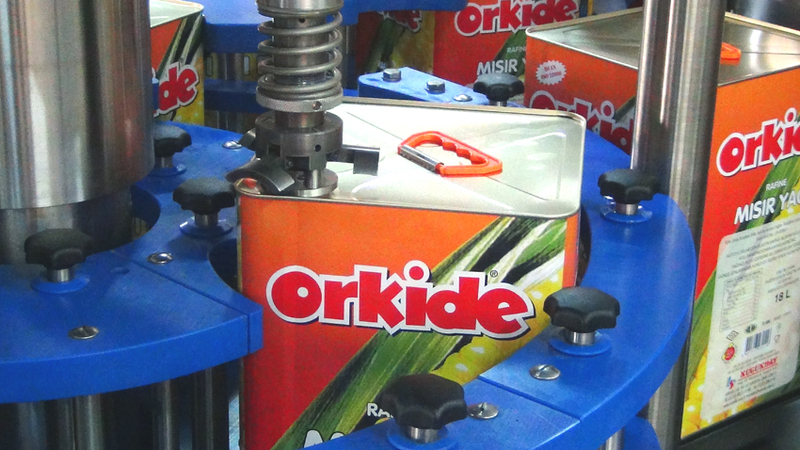 Each filling head has an accurate positioning and precise reporting of product weight. From a technical point of view for packages such large amounts is extremely important synchronization of positioning and filling the container which here is achieved and allows for reach maximum performance. All this is under extremely high levels of hygiene in the whole cycle of preparing and work of the machines.